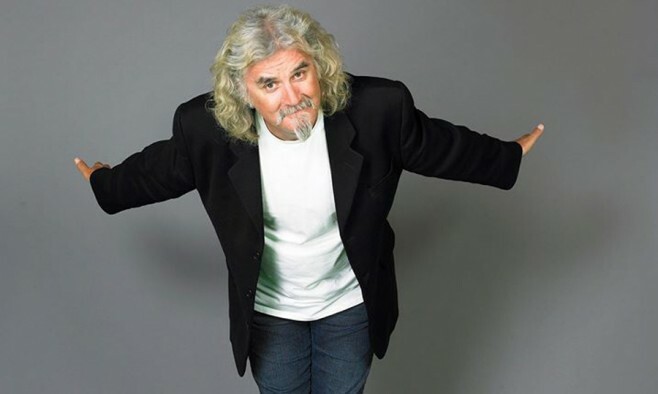 Scottish comedian Billy Connolly has revealed how he and his friend, the late Robin Williams, both struggled to deal with diagnosis of Parkinson’s disease. “We were both angry about things,” Billy, 72, said in an interview on Canadian radio promoting his upcoming tour. “For instance the guy who gave me the final diagnosis that I had Parkinson’s said it was incurable. Connolly admitted that the disease is a constant reminder of his friend Williams, who had the same condition before committing suicide. He said: “It depressed me terribly. You don’t find a way out of it. You find a place to put it where you can access when you want it. Like your mother or father’s death you never get over it, you just find a place to put it. Diagnosed in 2012, the Scotsman recently spoke about the condition preventing him from playing the banjo due to uncontrollable tremors. However, he doesn’t dwell on the symptoms now and tries to look on the bright side. “I am doing well as can be expected. Some people get grim, but I do not,” he added. “You cannot sit at home wondering about your symptoms. It is not going to go away. “Funny doesn’t go away it just changes slightly, maybe some people get grim but I don’t. I think it is an attitude – you say screw it, let’s get on with it. Good luck Billy and wish you are very long life! You are a good and down to the Ground Dude!